Happy Mother's Day, everyone! The season when you express your love and gratitude to your Mother is here! Why don't you prepare a small but thoughtful and special gift for your mother on this Mother's Day? 365 In Love/ 365 Printing Inc offers the cutest and funniest mom daughter matching coffee mugs that are uniquely designed and printed in California, USA. 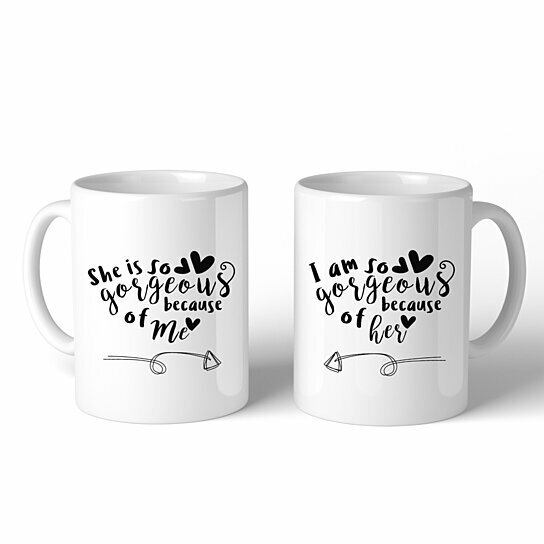 Our mom daughter matching mugs come with a TON of cute, funny, lovely, and laughable designs, and they are printed on both sides. These mugs are made of ceramic that is sustainable for hot and cold liquids or even dishwashers and microwaves. These coffee mugs can be great gifts not only for Mother's Day but also for grandparents' day, mom's birthday and Christmas. Show your appreciation to your loving devoted mother with our cute gifts and put a smile on her face�Start Shopping Now!